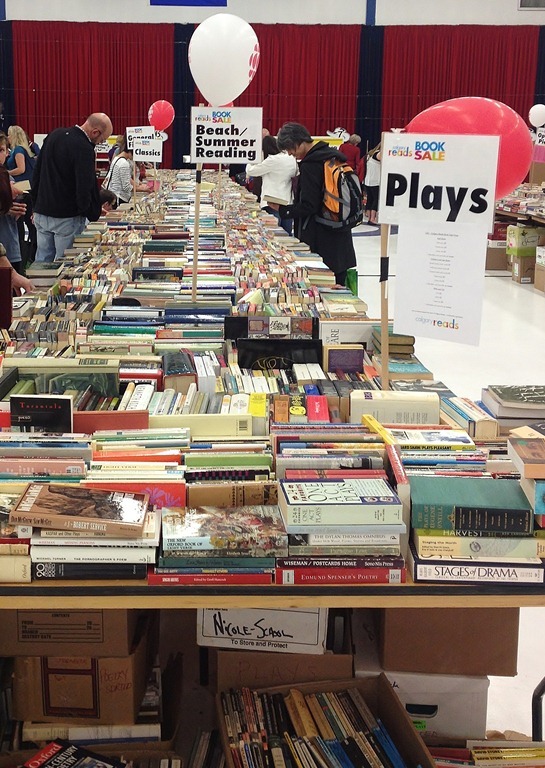 5 reasons you should check out the Calgary Reads book sale! 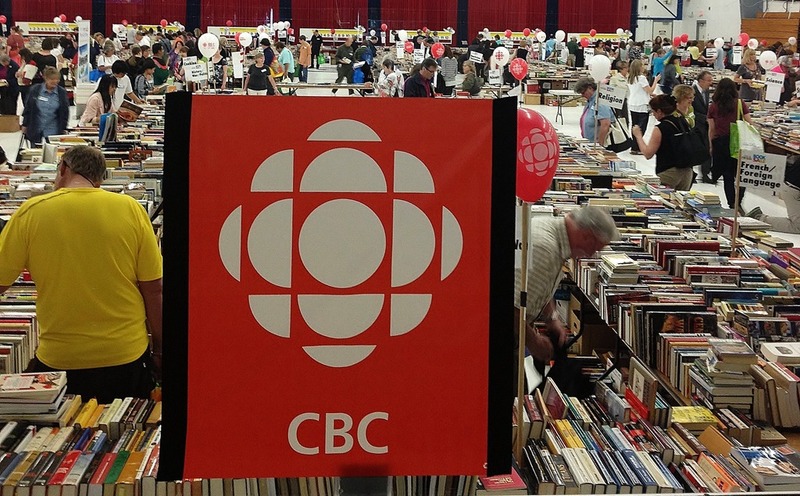 This is my second year volunteering with the CBC Calgary Reads book sale. After seeing the humongous selection of books last year I was hooked. I’m an avid reader and this is right up my alley! If you haven’t been yet, and you live in or near Calgary, I highly recommend going. But if you need a bit more persuasion here are 5 reasons you should check it out. 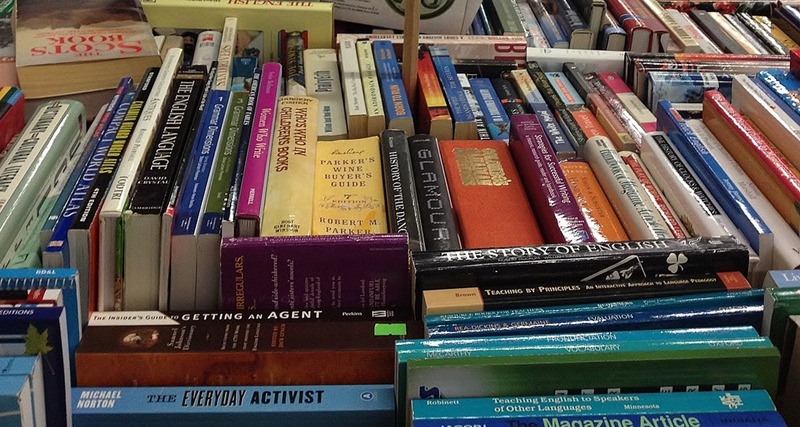 I was awe struck when I saw how many books there are, and that’s after volunteers weed out all dirty/old/worn ones. The books are well categorized too. Fiction on one side, non fiction on the other, and then sorted into groups such as art, travel, humour, ect, ect. I can almost guarantee everyone can find a subject that would interest them. 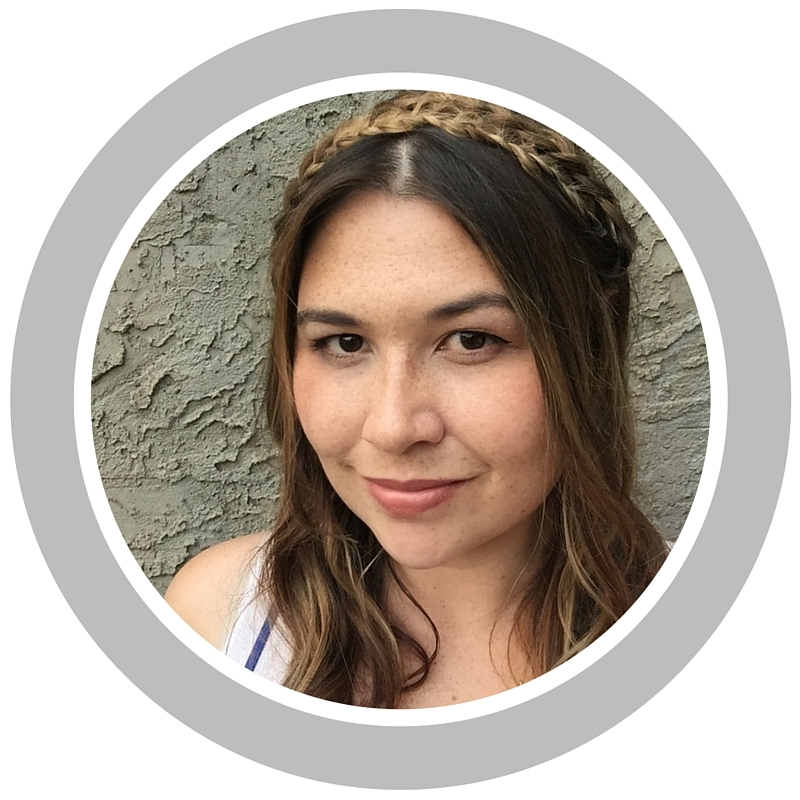 All of the funds raised go to Calgary Reads which is an early literacy initiative devoted to changing the lives of struggling grade 1 and 2 readers and their families in Calgary and area schools. Increased literacy in Children can boost their confidence and academic achievement and also enables curiosity, creativity and critical thinking. Happier and healthier kids turn into happier and healthier adults. Yay! Ok, this one might seem a little far fetched but I heard a story on CBC Radio 1 about a couple that met at a Calgary Reads book sale, he asked her out for coffee and they ended up getting married! Maybe you might connect with someone over your shared love of sports trivia or vegetarian cooking. Maybe you might reach for the same book, your fingers touch, and sparks fly. Hey, you never know! Confucius says “you cannot open a book without learning something.” Patty Berg, founding member of the LPGA says “Always keep learning. It keeps you young.” So therefore read a book and stay young! and if reading doesn’t appeal to you…. If the thought of cutting into a book send shivers down your spine skip this one. There are some books out there that might not get chosen to read but have very pretty covers or would be perfect for that craft project you’ve been meaning to try. Why not use a book to make a lamp, clutch, or table runner. there’s even a book all about making crafts using books! 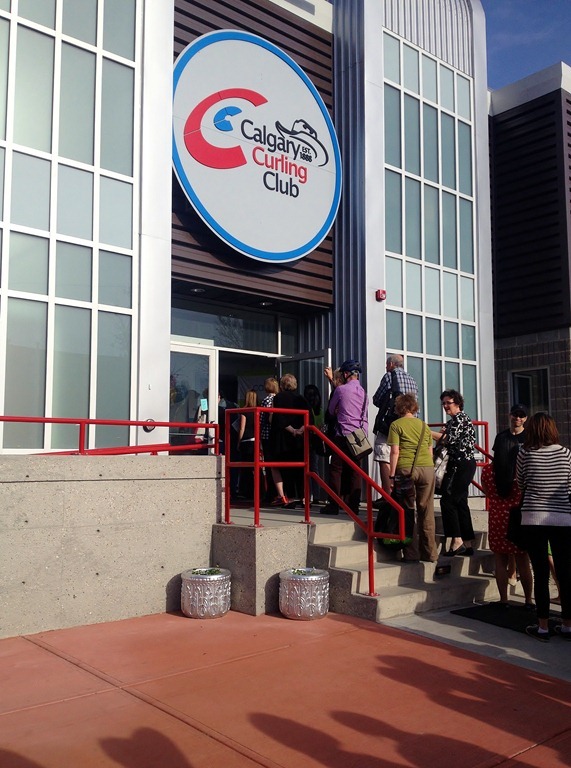 So do I have you convinced that you should head down to the Calgary Curling Club from May 10-12? If you want more information about the hours, address, or how you can get involved next year check out the website. www.calgaryreads.com or follow them on facebook or twitter! Looking at the haul I brought home I think I might be spending a lot of time on the deck this summer with a book and a cold beverage.